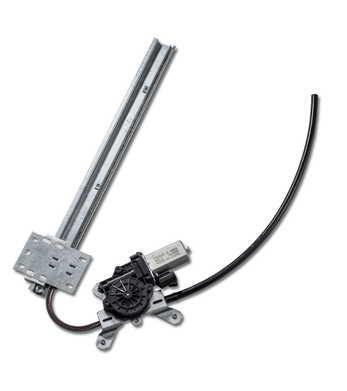 Developed to accommodate thinner doors, the cable drive regulator gives manufacturers more room to package other items inside the door module. The cable drive regulator was built with increased functionality and provides a greater range of up and down travel. Available in both 12 and 24-volt electric power and manual operations in a variety of applications, including heavy truck and equipment, marine, and specialty vehicles.